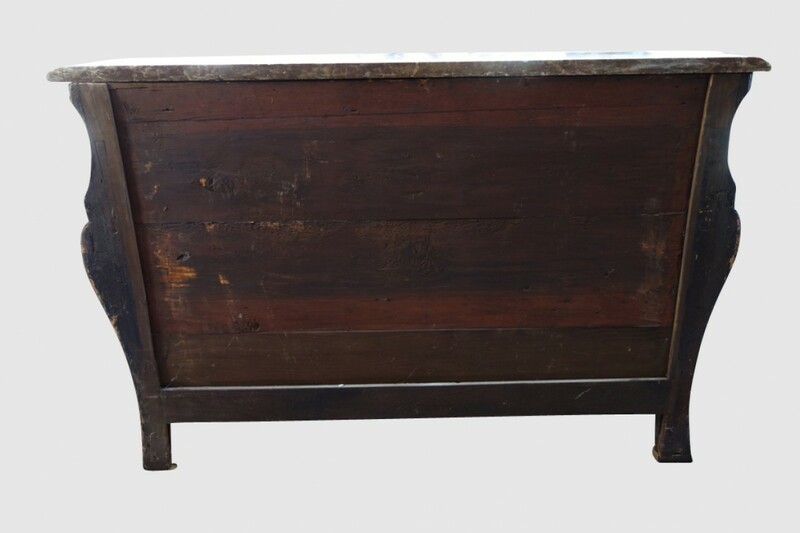 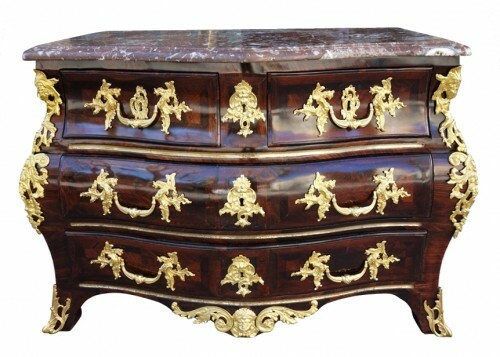 The dresser opens in front by 4 drawers. The 3 rows are separated by brass splines. 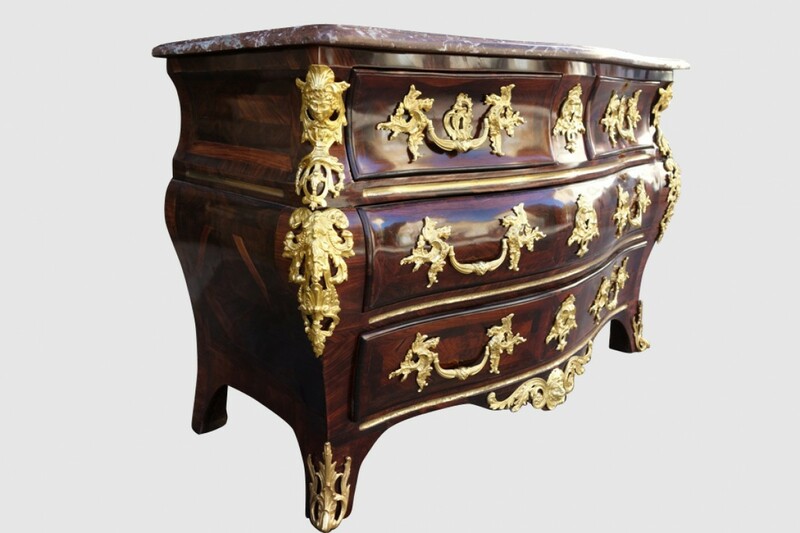 Rich and fine ornamentation of chiseled and gilded bronzes. 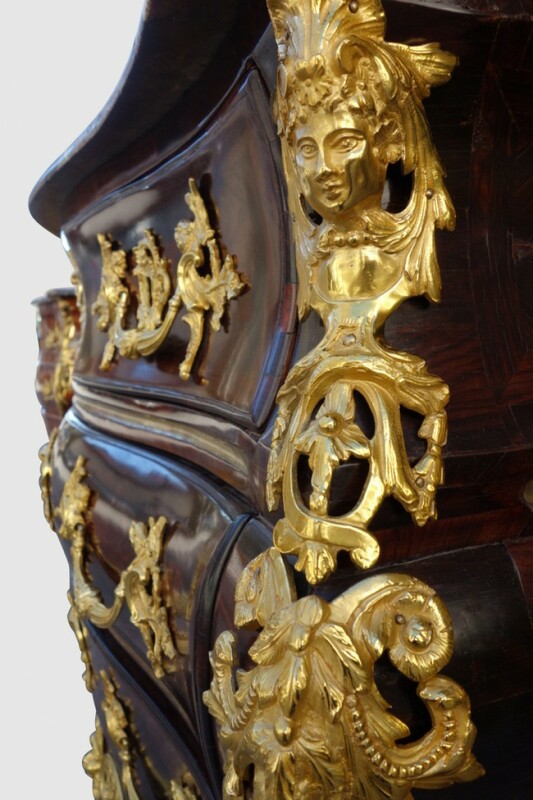 Falls of spaniels on the uprights, opulent lock entrances, handles of chimerical prints and lion's head on the apron. 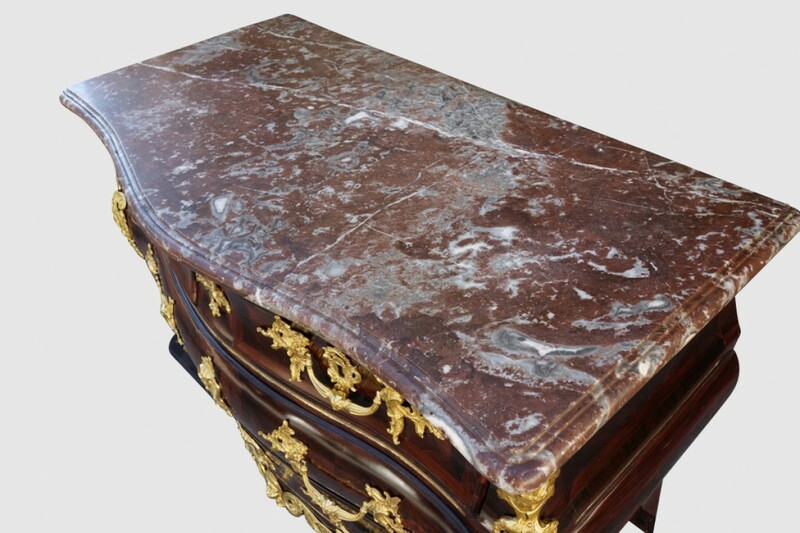 Royal red marble top with throat. 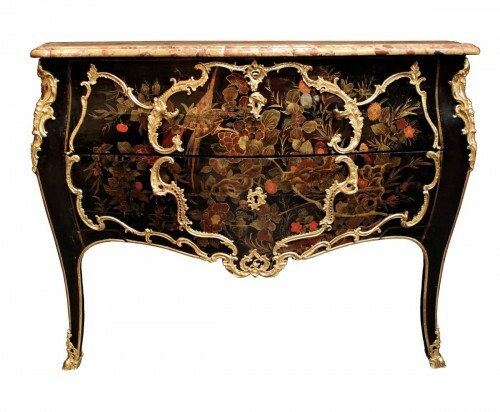 Louis XV work attributed to Mathieu Criaerd. Bronzes and locks of origin, very beautiful state of conservation. 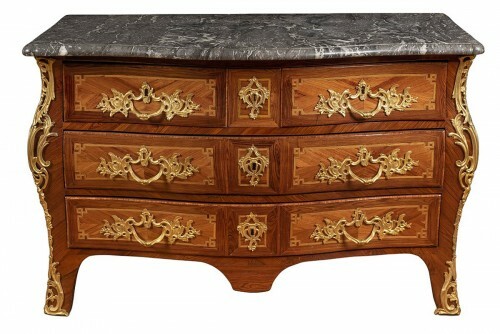 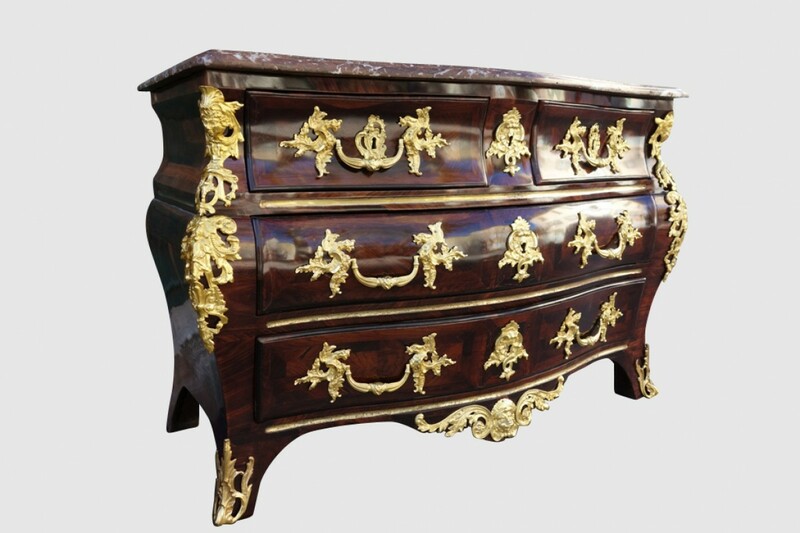 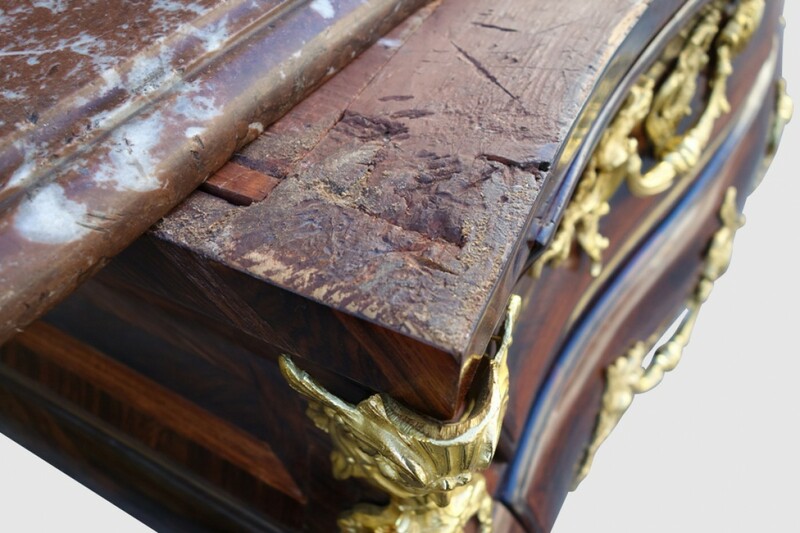 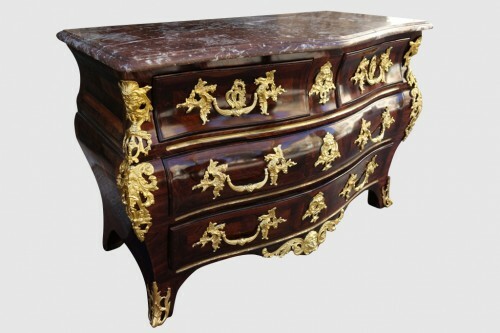 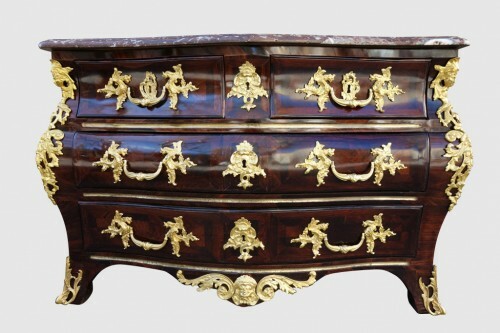 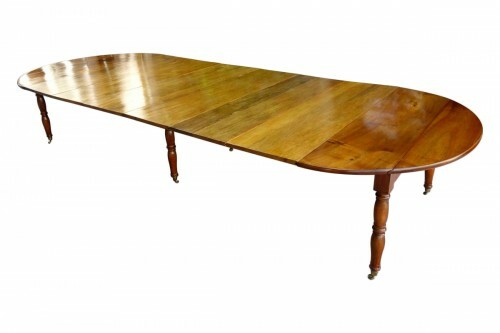 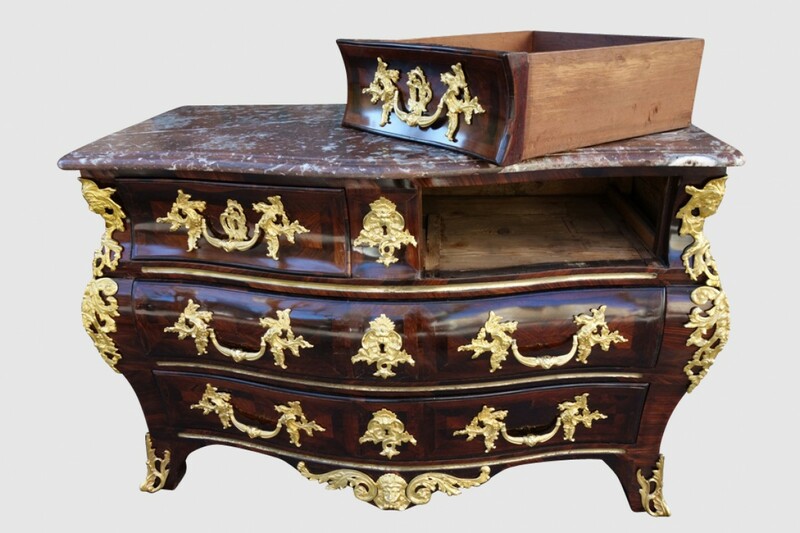 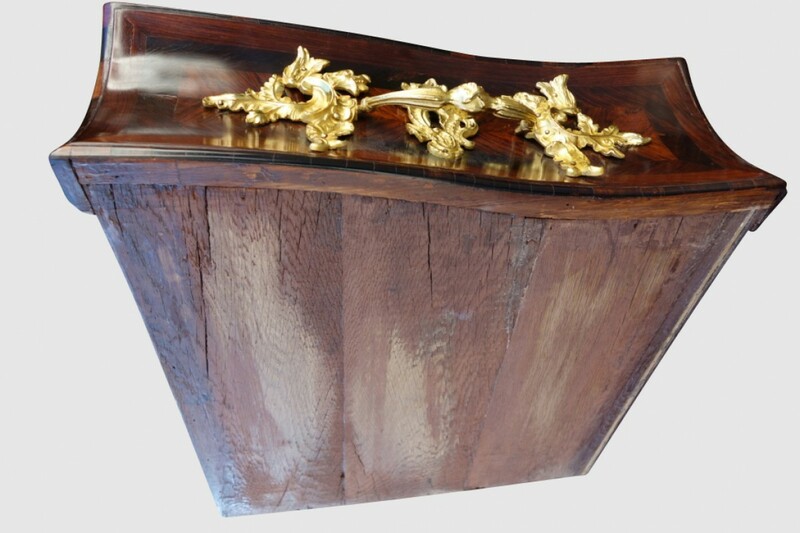 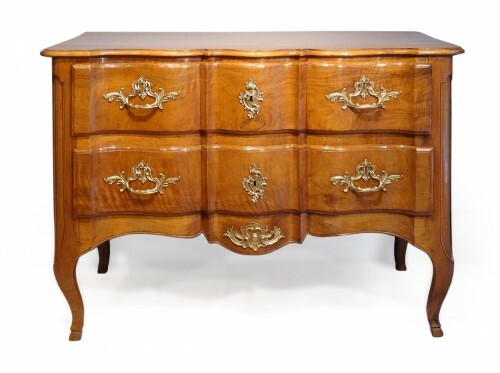 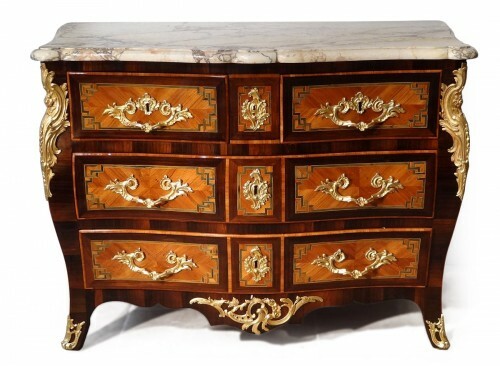 Mathieu Criaerd is one of the most famous cabinetmakers of the eighteenth century. 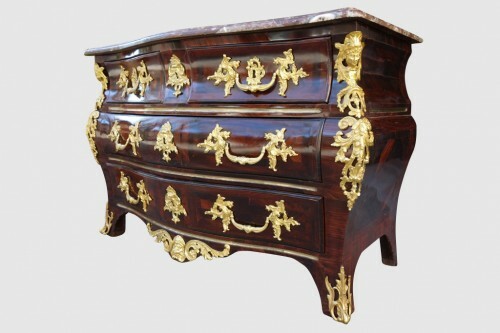 His dressers have been present in famous houses like the castle of Choisy or Louvigny. 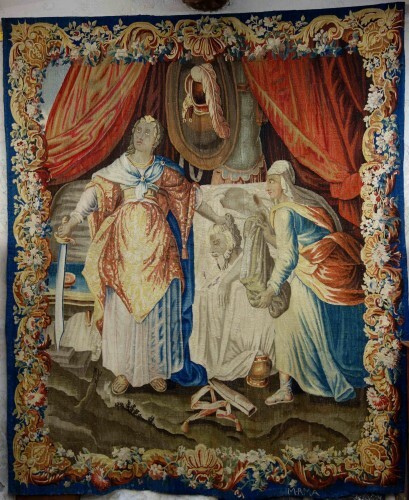 Today some of his works are preserved in the Louvre. Note that he also worked for several merchants-mercers like Oeben. On the technical side, her dressers have made her famous. The shapes of these are very hectic. 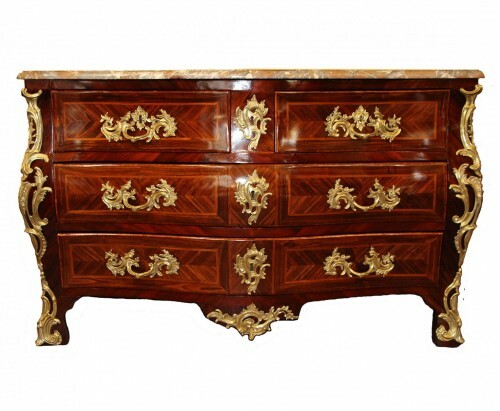 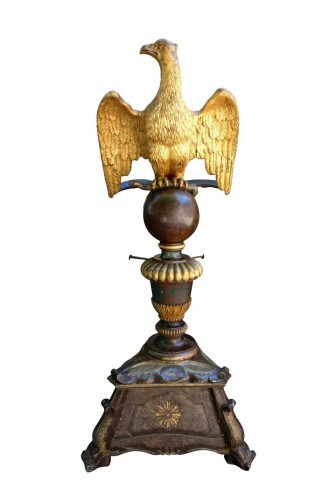 Plain veneer highlights a particularly sought after and sumptuous bronze ornamentation.